Christmas is the perfect holiday to decorate your home from the inside out. It is fun, festive, and comes with a beautiful palette of colors. Plus, let’s not forget there is so many different decorations to choose from. From the classic red and green Christmas essentials to the more elegant silver and blue touches. 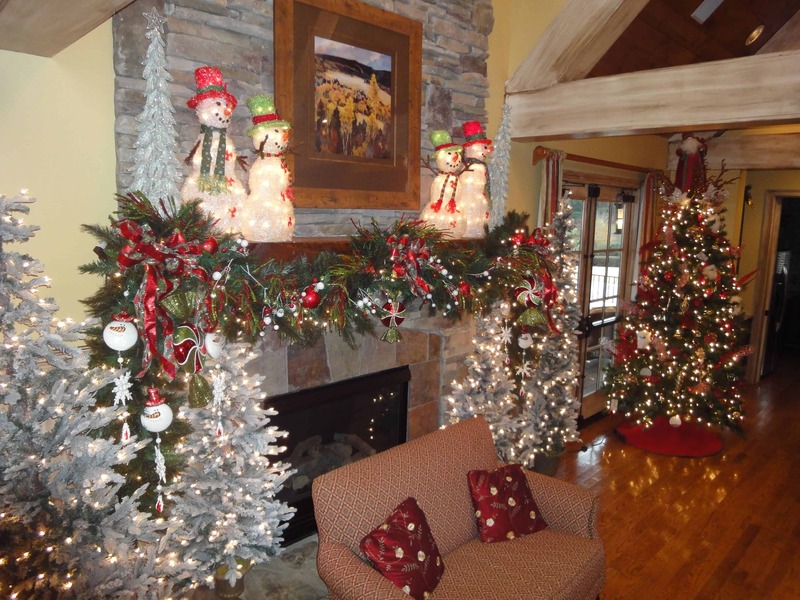 However, one décor that never goes out of style is country décor especially when it comes to the holiday season. 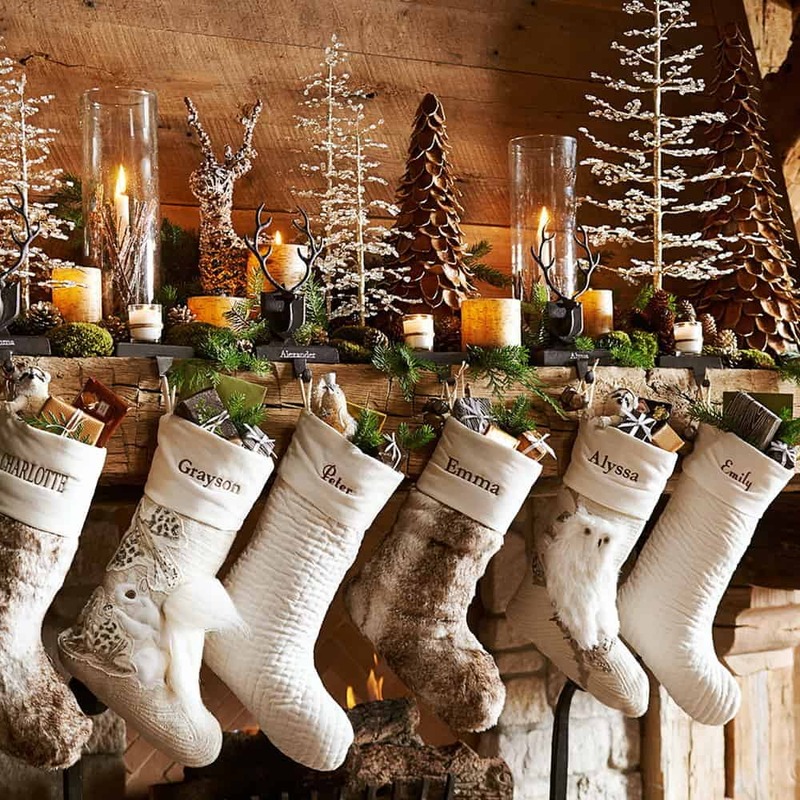 There is something very traditional yet cozy about country décor for the holiday season. Here are 12 country ways that bring Christmas cheer directly to your mantel. A simple wooden, rustic star is the perfect addition to your mantel as it adds a unique holiday twist. Pair it with other Christmas decorations that offer color and bring together your entire Christmas concept. If you want to add a brightening effect add candles or even Christmas lights. Nothing feels country quite like a rustic star. 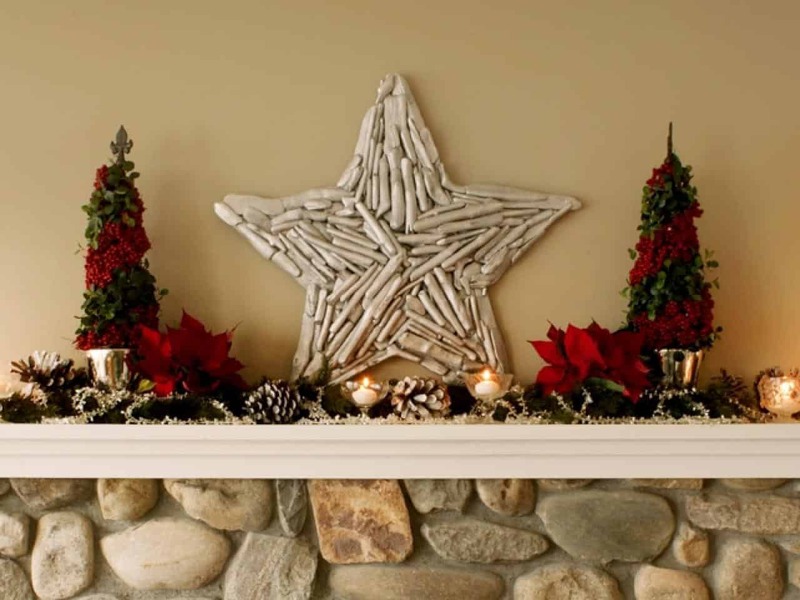 A rustic star is a great element to place on your mantel. It is simple yet there is are so many different items you can decorate a rustic star with which gives it the perfect holiday cheer. 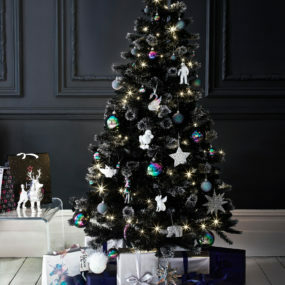 Add bold colors to it or even lights to your star for the complete holiday appeal. If you can not find the right size lanterns that really fit your mantel the way you would like. Contemplate placing your lanterns in front of your fireplace and mantel instead. Doing so will allow you to place different red items on your mantel that work well the red lanterns you decide to use. Add red lanterns to your mantel for the perfect festive touch. Red lanterns add a brightness to your mantel that is classy, but also very attention-grabbing. The red will bring in the holiday cheer meanwhile, the lanterns will add a soft glow to your mantel space. Clusters of white Christmas decor works extremely well because it creates a gorgeous winter wonderland feel. 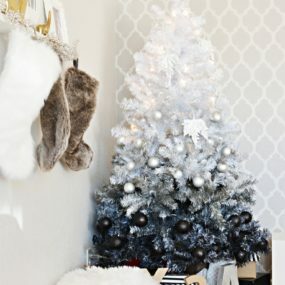 Pair your white shades with silver hues or grays will bring out the vivid and clean feel of using white as your Christmas decor. 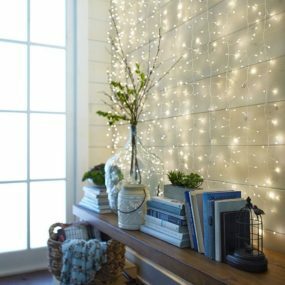 Use cute Christmas fixtures for a cohesive feel that is also festive. Red and green are the traditional Christmas colors. However, if you want to create an elegant upgrade, consider having white décor instead of using any color. 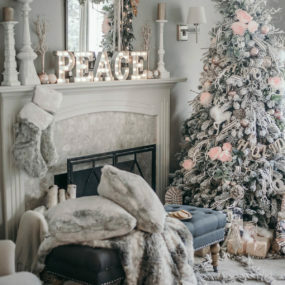 Create the perfect white Christmas wonderland by using a white and silver color scheme. Use snowflakes and lights for that wonderland feel. Rustic, simple, chic, and cozy are a few ways to describe having a farmhouse inspired mantel. Putting together a few of your favorite neutral and wooden pieces is a great way to bring the farmhouse feel directly to your mantel. Consider decorating your entire fireplace with wooden fixtures for a well put together look. Farmhouse décor has become very popular this year and it is certainly not leaving us anytime soon. Add wooden items to your mantel with a few green pieces that feel natural to the space. The idea is to keep the space as clean and rustic as possible. This will create a vintage, yet rustic feel that is also country and warm. The beauty of having mason jars is that they can be transformed into anything you want them to be. They’re the perfect drinking cups, decorative cups, and/or even the perfect christmas DIY gifts. Create a beautiful world inside of them as snowglobes and add them to your mantel for a touch of Christmas magic. We all love how versatile mason jars can be for every occasion, and Christmas is no exception. You can add lights in different colors or white into your mason jar for the ultimate festive light fixture or you can even transform your mason jars into snow globes. The best way to use mason jars for your holiday décor is using different sizes for a unique twist. When you first think of Christmas the last colors you may think of is neutral hues especially when it comes to your mantel. However, neutral hues can work exceptionally because of how easy they are to pair with the traditional Christmas hues. 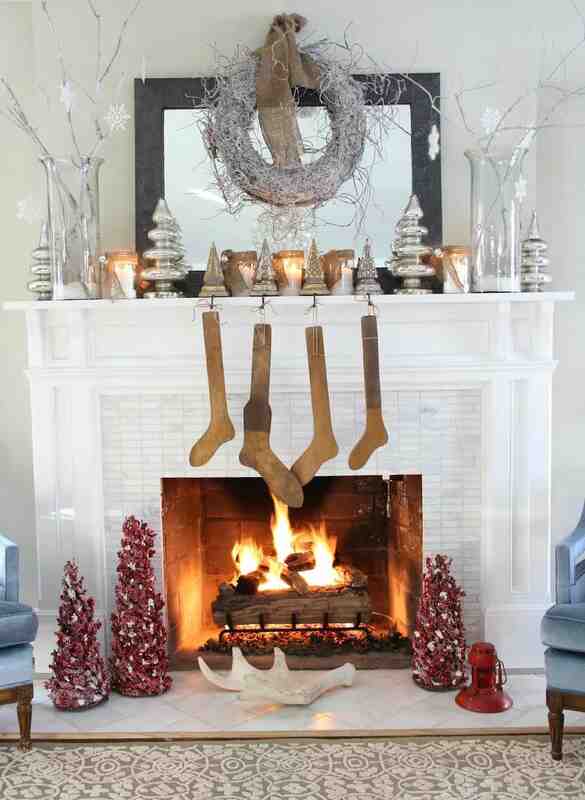 Have neutral stockings to complete the simple yet elegant decor that is also festive. Neutral pieces can be very festive when they are done correctly. 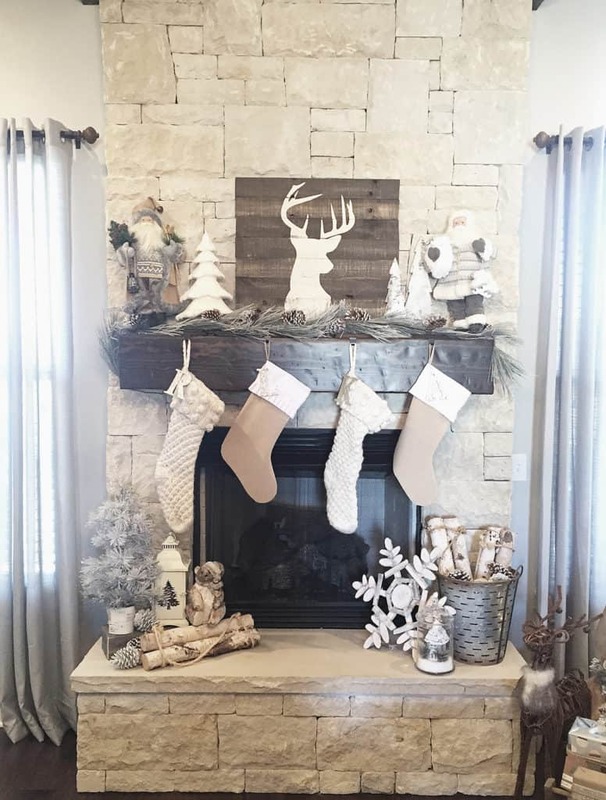 Use pieces that are simple yet natural such as deer fixtures, and/or antlers and pair them with updated festive colors such as metallic hues, red and black tones and green. Combining these hues with neutral pieces will update your mantel in a subtle manner that is still festive and fun. When we say add a “festive country decor” we mean to go all out for the Christmas season. Add a traditional touch to your country decor by adding bright red and green colors with Christmas fixtures for that well put together look that is festive yet country. 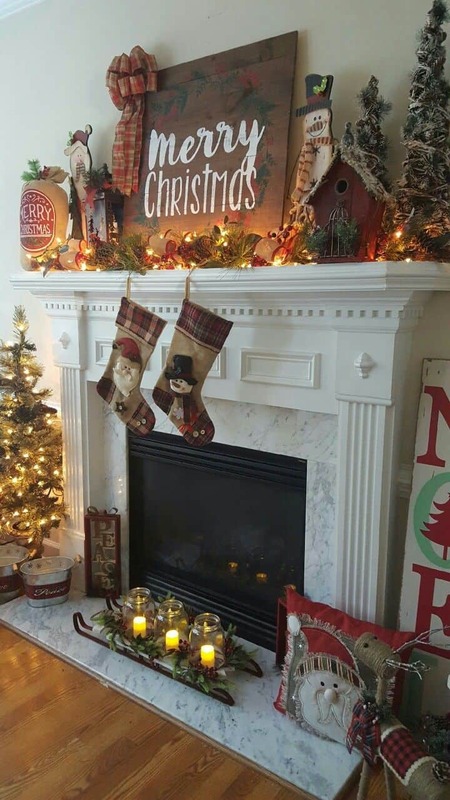 Adding a country festive focal point to your mantel works well when you want to create a space that screams “Christmas” in addition to your Christmas tree. 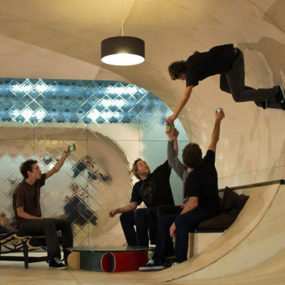 Incorporate a big, bold piece such as antlers, or a wooden piece, or even a large mirror and decorate it. The key is to maintain the focal point being the focal point, regardless of how many festive decorative pieces you decide to use. You can even incorporate trees in unique shapes for a trendy more modern appeal that is still very country. The idea is to have a festive space that is traditional yet still offers a country twist. Consider adding color such as bright reds and greens for that true Christmas decor. Incorporating traditional tree fixtures in your decor can add a bit of nature while still being very festive. The key is having numerous different size trees for a cohesive look. You could even incorporate different colored trees in metallic hues and green. These hues will work well together and with the rest of your decor. A simple Christmas message on a chalkboard is the perfect personal touch to your mantel. It adds a festive touch that is personal to you and your family. Make it fun for a twist that brings holiday cheer while still being a focal point in your living room space. Write a sweet message to your loved ones on a chalkboard and hang it on your mantel for a sweet twist that is also festive. 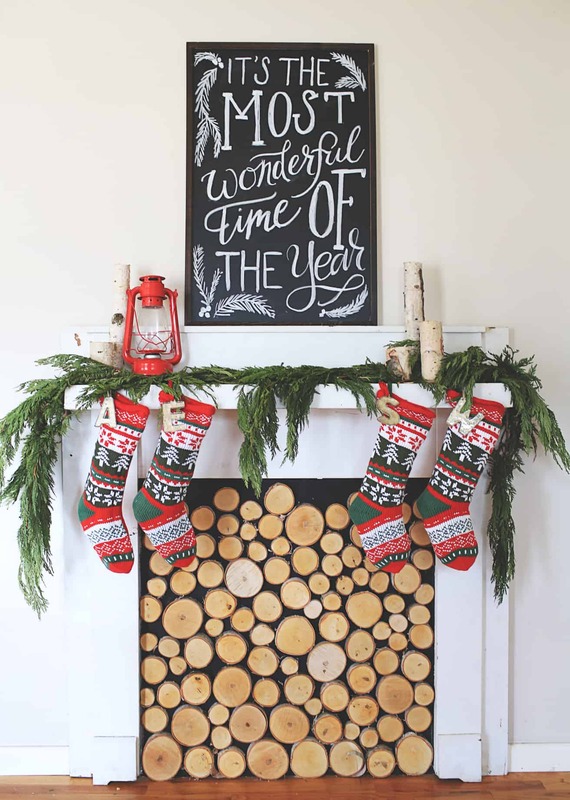 Pair your chalkboard with Christmas cheer to bring the entire look together. Consider incorporating a wreath or even garland to type the entire festive look together. 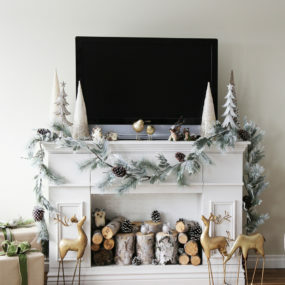 A traditional yet cozy mantel will bring the holiday cheer in a softer manner. Adding metallics to your cozy country decor will help add color and texture in a more subtle way. Doing so keeps the decor traditional while still fun. Incorporate candles for a romantic take on the holiday classic decor. Add a cozy feel to your living room by having a cozy country mantel with all of the “works”. Incorporate acorns, pine trees, cloth stockings, and/or antlers. Keep the space filled with these items for a traditional appeal that is cozy and country all at the same time. 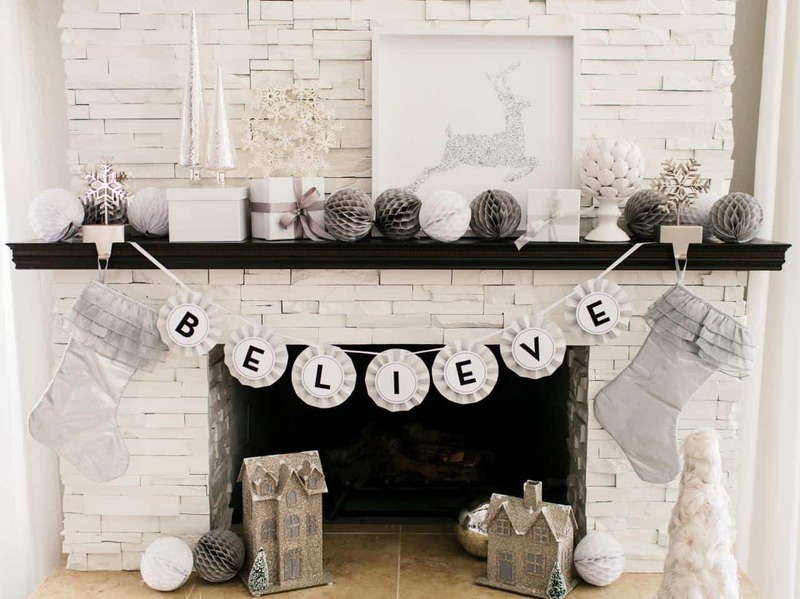 You also want to incorporate bits of white to add to the cozy feel that you created on your mantel. Using Christmas lights to decorate your mantel brings your entire Christmas decor together. 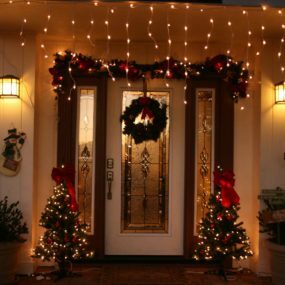 It is the perfect way to utilize Christmas lights around your home. Use different colored lights for a festive look that can brighten up the space in a bold yet simple manner. 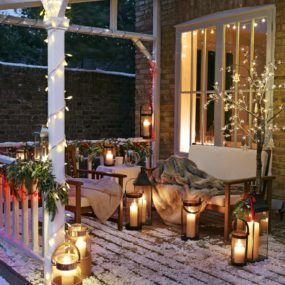 Christmas lights are not just for the outside of your home. 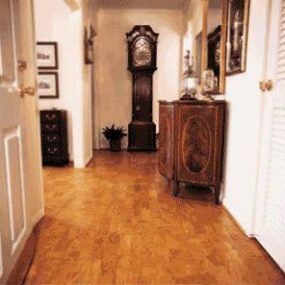 In fact, they are perfect for the inside of your home as well. Christmas is all about bright colors and even brighter lights. Therefore, incorporating numerous different bright lights just makes sense. Arrange different colored lights on your mantel for the festive feel you can have on the inside of your home. 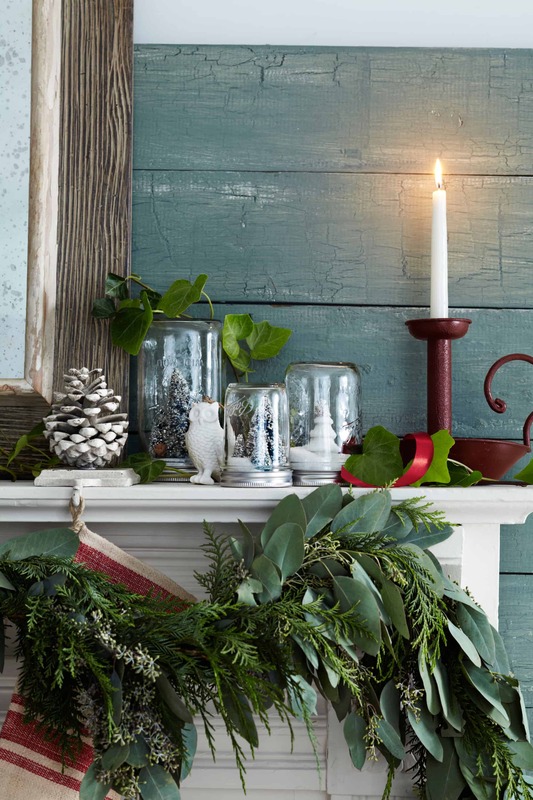 A woodsy and greenery decorated mantel brings the natural appeal to your christmas decor. Adding wooden items will bring the cozy appeal to your mantel while still being country and festive. 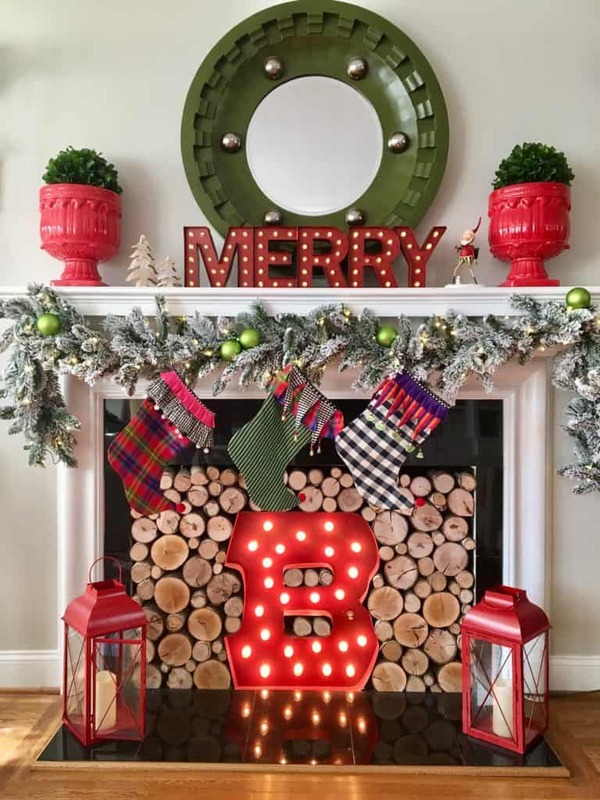 You can even add DIY pieces in wood that give your holiday decor a personalized appeal. Wooden pieces look great when they are paired with greenery. Furthermore, they are the ultimate country combination that are also classic staples. Integrate wooden signs or wooden fixtures along with greenery such as garland and/or wreaths of numerous different sizes. 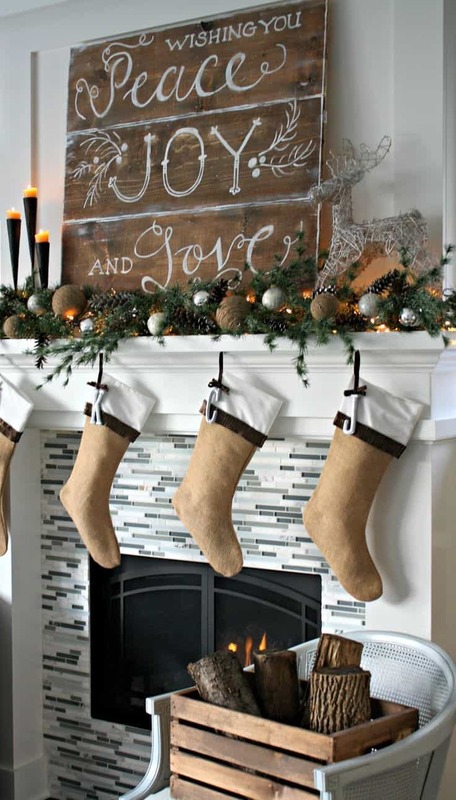 With Christmas quickly approaching how will you be adding a country feel to your mantel? Please let us know in the comments below.